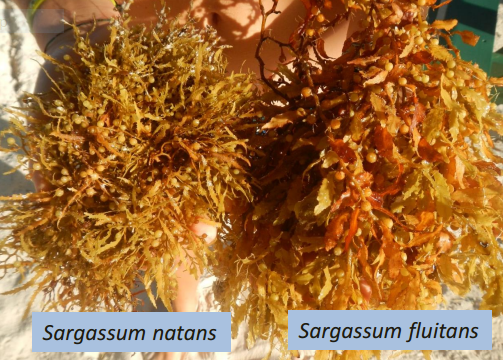 From my extensive coastal and marine studies during my 3 years in Sierra Leone with African Minerals, I observed and documented the huge quantities of Sargassum that washed up onto the beaches over a number of months during 2011. The unprecedented quantities (hundreds of tonnes) of this unknown algae species prompted the Sierra Leone Government, Ministry of Environment (MoE) to blame the blight on port dredging works undertaken by African Minerals. I designed and managed all the environmental research work associated with acquiring approvals to dredge the port and tidal river channel and was of course very confident this was not a consequence of the work; particularly once I had identified the species of algae. Despite this, given the rather limited knowledge of the MoE, it proved virtually impossible to convince them; however with time, the truth appeared. It transpired I was not the only scientist documenting this phenomenon, which was widespread throughout the West Indies, Caribbean, Mexico and other ‘high value’ coastal beach resorts. I engaged with several scientist from USA and the Caribbean and I have recently been contacted to supply further photographic evidence. The link below is a very interesting presentation of the issue. This entry was posted in Uncategorized on April 25, 2016 by webmaster.